By Antonio Carlos Silva Rosa, M.A. Posted on January 17, 2019 by Antonio Carlos Silva Rosa, M.A. 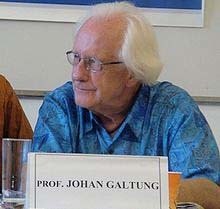 TRANSCEND Media Service was founded by Johan Galtung, the visionary, and me, the editor, in 2008. It is a medium to present peace journalism-oriented views, news and analyses in written or video format, being both a service to other media and a medium in its own right. The section Peace Journalism Perspective is inspired by a solution orientation, trying to identify the conflicts underlying the violence—direct, cultural and/or structural—so rampant in the world. And to search for a way out, a solution, itself in search of agency. The basic point about peace journalism is multi-truth, multi-angle reporting, with an inspiring, positive solution-orientation. Peace, like health, is not an event; it is a process. Thus the process of achieving peace resembles the process of achieving health; the “disease” being underlying unresolved conflicts and not merely the violence, a symptom. Like health, it involves diagnosis, prognosis and therapy. This insight was the basis on which Johan Galtung launched peace and conflict research/studies as an academic discipline in his native Norway back in 1959 and established the pioneering Peace Research Institute Oslo—PRIO, being its first director until 1969. War studies has always reigned supreme and uncontested in a world culture of exaltation to war as the tool for resolving conflicts that elected—and still does—the military as standard for heroism, chivalry, gentlemanly, courage, patriotism. Every country had its Department of War, a War Secretary or Minister, or some related institution or position. These might have been renamed as Department or Ministry of Defense, for instance, but the underlying connotations remain in the deep culture and deep structures of the country. After the examples of Johan Galtung, Kenneth and Elise Boulding, and others in the field, peace research institutes started proliferating and spreading around the world—gradually becoming the new status quo—with nonviolent peacemakers as the new standard for heroism, chivalry, gentlemanly, courage, patriotism. Gandhi, Martin Luther King, Jr., Nelson Mandela and other nonviolent reformers led the way. Before the 19th century, we had “disease journalists” who reported in detail how epidemics were spreading and how people suffered, but little was known about cures and little reported. Today we have “health journalists” who write about current research on new cures and therapies, and inform about healthy lifestyles, which not only help prevent diseases but actually improve and promote health as a value. Similarly, the time has come for “peace journalists” to write not only about war, but also about its causes, prevention, and ways to restore peace by nonviolent means and promoting peace as a value. They need not invent themselves solutions to conflicts—in the same way that health journalists need not invent cures for diseases themselves; they ask specialists. Peace journalists ought to ask various peace organizations and mediators about their ideas for preventing or ending a violent conflict, and report about it. Health pages in newspapers are very popular, and it can be anticipated that the same will be true for reporting about peace proposals, once they become available, disseminated, popularized, mainstreamed. Mainstream media more often than not promote military solutions influenced by a war economy that thrives on the commerce and trade of armaments, weapons, war technologies, and so forth, to be used by Navies, Air Forces and Armies worldwide. Conversely, the so-called Alternative Media tend to endorse more social justice, nonviolent conflict resolution, activism, and so on. Peace is too important a factor to be left exclusively to generals and news editors, however. As the best alternative, peace ought to be mainstreamed. And promoters of violence and destruction are to be outdone and die a natural death. Literally ostracized. 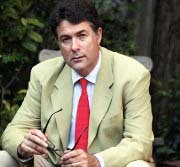 According to Jake Lynch, professor of Peace Journalism at the University of Sydney and TMS advisor, “Peace journalism is when editors and reporters make choices—about what to report, and how to report it—that create opportunities for society at large to consider and to value non-violent responses to conflict. 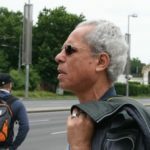 Antonio Carlos da Silva Rosa, born 1946, is founder-editor of the pioneering Peace Journalism website, TRANSCEND Media Service-TMS (from 2008), an assistant to Prof. Johan Galtung, Secretary of the International Board of the TRANSCEND Network for Peace Development Environment, and recipient of the Psychologists for Social Responsibility’s 2017 Anthony J. Marsella Prize for the Psychology of Peace and Social Justice. He completed the required coursework for a Ph.D. in Political Science-Peace Studies (1994), has a Masters in Political Science-International Relations (1990), and a B.A. in Communication (1988) from the University of Hawai’i. Originally from Brazil, he lives presently in Porto, Portugal. Antonio was educated in the USA where he lived for 20 years; in Europe-India since 1994. Books: Transcender e Transformar: Uma Introdução ao Trabalho de Conflitos (from Johan Galtung, translation to Portuguese, 2004); Peace Journalism: 80 Galtung Editorials on War and Peace (2010, editor); Cobertura de Conflitos: Jornalismo para a Paz (from Johan Galtung, Jake Lynch & Annabel McGoldrick, translation to Portuguese, 2010).